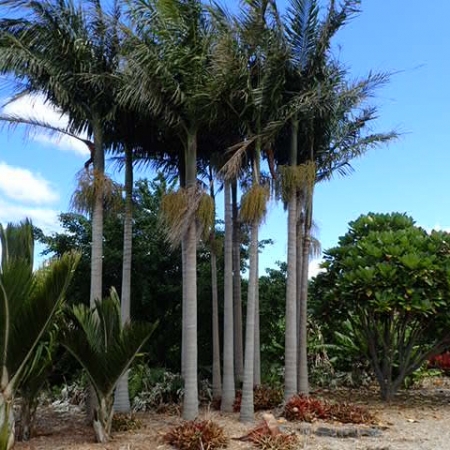 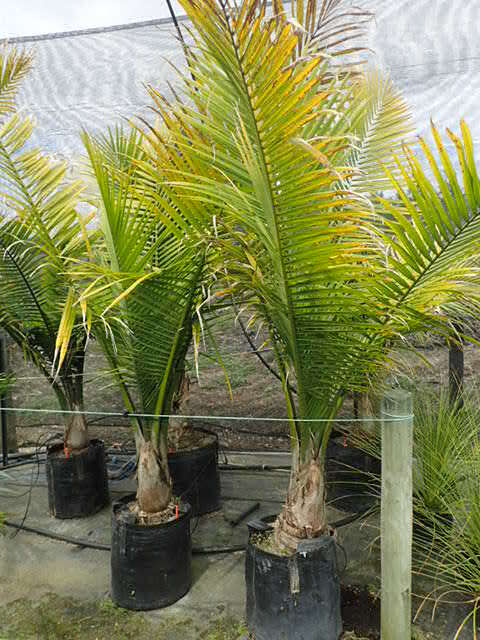 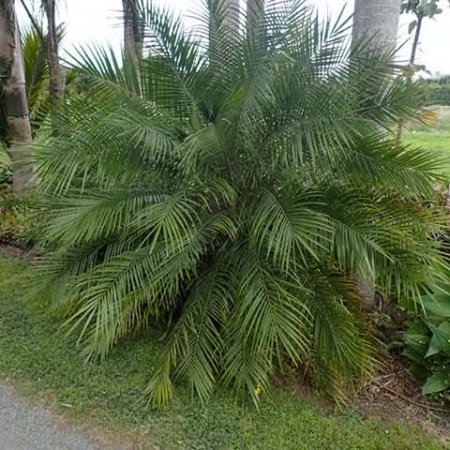 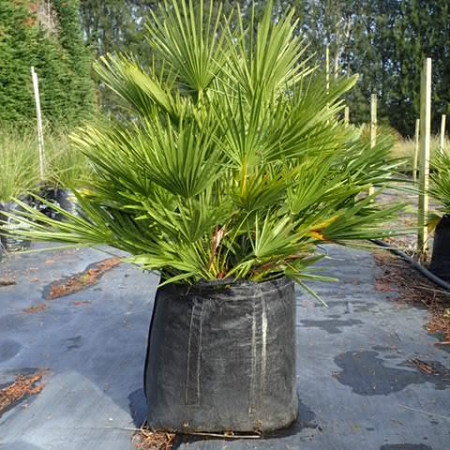 Full sun outdoor palm that tolerates light frosts. 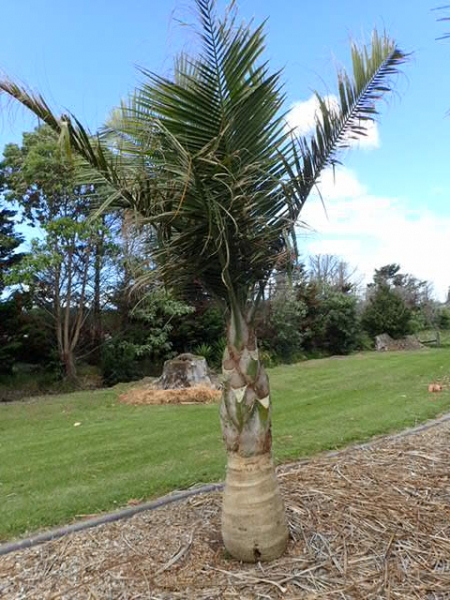 Needs plenty of water to establish. 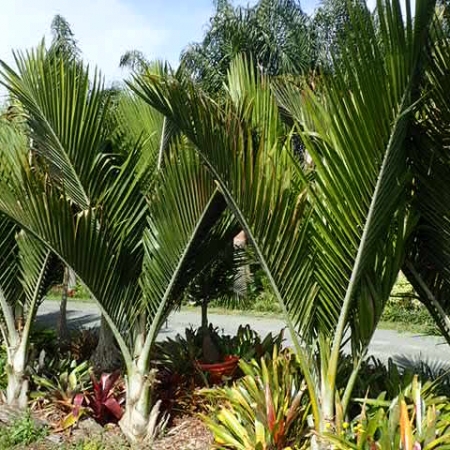 Has an attractive conical shaped trunk, wider at the bottom. There are some good specimens of these in Hillary Square, Orewa.